One of the proudest moments of my life thus far was when, at the age of 24, I attended my graduation ceremony at Hull Town Hall. The university was lucky to have a virtuoso organist at the time, so as we all entered cap and gown, Bach was reverberating out from the magnificent organ, vibrating body and stirring the soul. As I sat down, the tears welled up, and the proverbial hairs on the back of my neck prickled. If you have yet to hear Bach's organ music played in a cathedral: it is one of life's most uplifting experiences. My granddad had died while I was revising, which pushed my revision into overdrive. I was determined to do well for him. And so, from being a middling lazy 2ii candidate in my second year, my essays started hitting the 70% mark. On the day of the exam I was possessed. I had read volumes and volumes of exegesis on Aristotle, I knew my Spinoza.. And then my German friend Martin turned up after the last exam with a bottle of bubbly and a huge smile.. In the end, I got a first - my lecturers told me it was a very high first as well. For the first time, I saw myself as someone who could achieve more than I could imagine, if I put the effort in. It was the turning point that led inexorably to an MA and a PhD. And I learnt a lesson: that in the midst of death, there is energy and creativity and transformation available. And so there I sat, waiting my turn to collect my scroll. The dignitary given responsibility to hand out the awards was the Great-Grandson of William Wilberforce. He sat in a throne-like chair. He seemed to be about 120 years old and very frail. He was so aged that he only got up to shake the hands of those who achieved a First - all other grades he merely passed their scrolls while seated. A flush of pride swelled up when he slowly and gingerly got up to shake my hand, and at that nano-moment, I felt contact with history. Although the abolition of slavery in the UK is a complex event, the role of William Wilberforce, Hull's finest eighteenth century son (and perhaps its finest son ever) should not be overlooked. There was an interesting piece in the New Statesman recently about him. 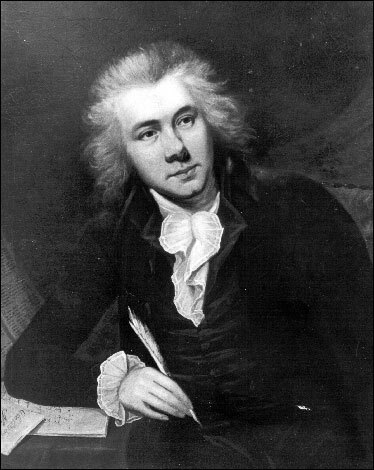 Next year Hull will celebrate the 200th anniversary of abolition in style, with a renovated Wilberforce Museum. It will be worth a trip to Hull to visit - I went there several times as a student, gemming up on slavery. The University has set up an Institute for Slavery and Emancipation, offering post-grad degrees in slavery studies. Perhaps the most salient and sobering fact from the NS article: when the slave trade was finally abolished, there were approximately one million slaves in the British Empire. Today, UNESCO estimates there 27 million worldwide. I was in Madame Tussauds many years ago and I caught of this man who seemed to have a rather camp pose though afforded a lot of space compared to other wax figures. I remember, with some reverence, standing at his grave in Westminster and thinking back to the days I spent poring over what I thought were dry history books, reading about the very person whose grave I was standing over! I was awed by that. Until I saw Issac Newton's! I remember visiting Cambridge and thinking I was walking the same the same path (at least physically) as Isaac Newton. History comes alive for me in England. I am such an anglophile, which is why I am dismayed at what you bastards are doing to yourselves.